Mean Girls: It’s October 3rd! Inside Garden City’s entertainment correspondent Carly Hampton is back! Pixar has done it again! They have a knack for storytelling and touching on all of our emotions- like the time we cried when Andy gave away his toys in “Toy Story 3” or laughed at the things that Dory said in “Finding Nemo” or even when we were a little afraid of Randall in “Monsters Inc”. 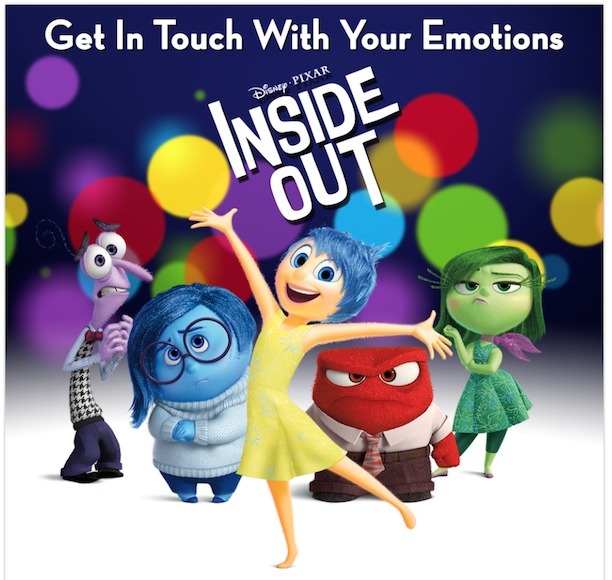 The summer smash “Inside Out” is no exception. In fact, Pixar very literally brings to life all of our emotions. 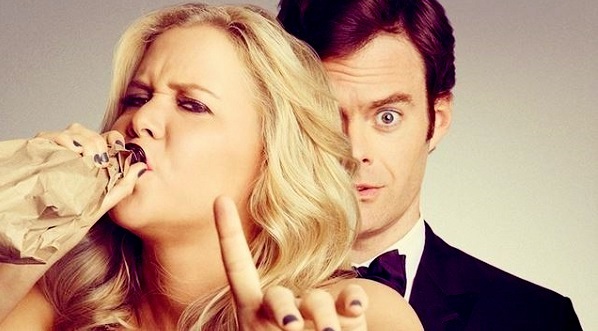 With a comedy cast of voice actors, we meet Joy (Amy Pohler), Disgust (Mindy Kaling), Fear (Bill Hader), Anger (Lewis Black) and Sadness (Phyllis Smith) in this amazing movie. Riley is a happy-go lucky hockey playing 11-year-old girl from the Midwest. Her emotions – Joy, Fear, Anger, Disgust and Sadness work in the “headquarters” of her brain to keep her safe and happy, but when her family moves to San Francisco her world is turned upside down. The move causes a little trouble in headquarters when Sadness is brought to the forefront of Riley’s mind. Joy tries to stop Sadness from upsetting Riley and the two emotions are accidentally sucked out of headquarters, leaving only Fear, Disgust and Anger in control. It is Joy’s mission to get back to headquarters with Sadness and help Riley in this difficult transition in her life. Inside Out is a great movie for kids. It teaches them to communicate and not to let their Joy get lost. Personifying the emotions that we have can help children understand what’s going on inside themselves and in others. The movie sends a good message to youngsters while not being preachy or boring so they will enjoy themselves while watching. I was really blown away by the film’s creativity and writing. The story itself is so unique and very unpredictable. Throughout the film, we are taken on a journey through Riley’s mind. We see how dreams are made, what’s in her subconscious, where memories go and we also get to take a ride on the “train of thought”. There are different islands in Riley’s mind that make up her personality such as Family Island, Hockey Island, Goofball Island and a few others. The way Pixar showed everything that goes on in our mind was really fun. The movie deals with emotions and how people react to different things but it isn’t heavy or draining. Pixar does an awesome job of keeping the story funny and light. Sadness sounds like it could be a bummer of a character but she is actually doofy and very funny throughout the film. Anger is also funny and is only upset by things he thinks are “unfair” like no dessert. Inside Out does have a few sad moments but that’s Pixar for ya. Visually the movie was very bright, colorful and cute. The best part about any Pixar movie is finding “Easter Eggs” which are hidden things that the animators leave in the background for the audience to spot, such as objects and characters from previous films. You might see Lightning McQueen or a Pizza Planet truck or something from a new upcoming Pixar movie. I recommend seeing Inside Out. It would be a fun movie to see with the family on a rainy afternoon or you could be one of the weird adults that goes and sees it alone because she loves Pixar so much (I’m not talking about me, I swear). Anyway, I hope you see it and enjoy it as much as I did. If you have seen it or go to see it, tell me what you think. Did you find any “Easter eggs”? Did you love it? Did you hate it? Let me know. Until next time GC. Thanks for reading! Please follow InisdeGardenCity.com on Facebook and Instagram! Back on the blog today is Carly Hampton, our resident movie and TV expert. Below, she gives us a movie review of Mad Max: Fury Road. Read on and enjoy! It’s got chills! It’s got thrills! It’s got cliché opening lines. It’s my review on Mad Max. Let’s dive in! ‘Mad Max: Fury Road’ starring Tom Hardy (Max) and Charlize Theron (Furiosa) was an amazing action packed film. It was so good that I felt the need to see it a few times. I typically don’t go for action movies but this was amazing. The movie has nonstop action, great acting and epic visuals. 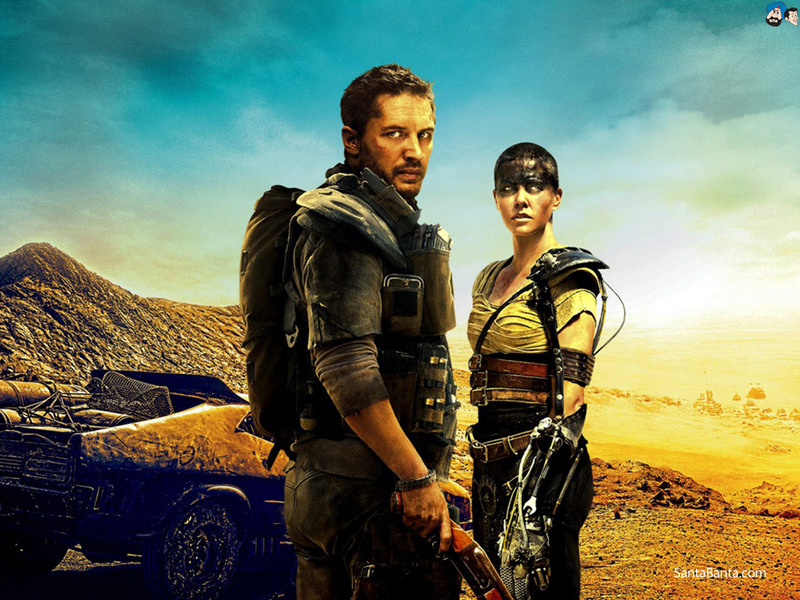 ‘Mad Max: Fury Road’ is the 4th and newest installment of the Mad Max films. The film takes place in a post apocalyptic society set in a desert wasteland. Max is a lone warrior captured by a band of “War Boys”, the army of warlord, Immotan Joe’s Citadel. Furiosa drives a war rig for Joe used for picking up fuel. When she unexpectedly changes course, Joe discovers she has taken his slave wives. Joe and his War Boys set out to get them back. Furiosa is bringing the girls to the “Green Place”, a place where Furiosa grew up before being taken by Joe herself. Nux, a sick War Boy, brings Max, a universal donor, into battle as his blood bag. I know. Super gross. Finally crossing paths, Max teams up with Furiosa and the chase begins. The film focuses more on Furiosa and the wives than it does Max, despite the title of the film. I loved that the women in the movie weren’t depicted as “damsels in distress” which action movies often do with women. These ladies didn’t just sit around hoping they would make it to the “Green Place”. They would gear up and battle. Some might not like the fact that the movie doesn’t focus totally on Max but if that’s what you’re looking for, then watch the original film “Mad Max”. I think the movie is forward and wasn’t buying into cliché tropes. Everyone in the movie was human and acted and reacted as such. Remember when I told you earlier that this movie has nonstop action? I wasn’t kidding. From the moment Max is captured to the very end of the movie, we are given maybe 3 times to take a breath. This film gives credit to it’s audience which I personally love. Nothing about this film was clunky or expositional. We catch on as we watch, leaving a ton of room for action. Even when there wasn’t much action, the War Boys were right on their tales leaving me in suspense the entire time. Visual choices the director made really helped this movie pop. Some action sequences were very theatrical and although intense, very mesmerizing. The movie would get a little bit graphic but nothing I couldn’t stomach. The opening sequence, when Max is captured, was awesome. They made the scene more intense by pulling frames out of the shots and using quick cuts. They do a lot of these things during the entire movie. I think this movie is definitely worth seeing. Maybe on a rainy summer day you can head to the theater or wait until it’s released on DVD- either way I think it’s a must see. If you love action movies, this is the film for you. If you’ve seen it or go to see it, let me know what you think by leaving a comment below. Thanks for reading! Inside Garden City is excited to introduce a new column. Carly Hampton will be covering movies and TV- and all things entertainment related- that might peak your interest. Carly has recently returned to the East Coast from California and has a background in film and TV. I am very happy that she will be sharing her expertise with our readers! I decided to see the film “Still Alice” after Julianne Moore won the 2015 Oscar for best actress. I usually see all the movies nominated for best picture and because ‘Still Alice’ was not nominated, it was at the bottom of my “must watch list”. I didn’t hear much buzz about the movie, what with ‘Boyhood’ and ‘Birdman’ getting all the attention, so I put it off. I’m a fan of Moore and was curious if she deserved the award. The next day I went to the theater to investigate. ‘Still Alice’ based on the book “Still Alice” by Lisa Genova, follows the story of Dr. Alice Howard (Julianne Moore), a happily married linguistics professor at Columbia University and mother of three grown children. After forgetting a few words here and there, going blank while delivering lectures and loosing her bearings, she is soon diagnosed with early onset Alzheimer’s disease. The directing choices gave the audience a feel for the disease from the point of view of Alice. In an early scene, Alice gets lost while taking an afternoon run on campus. During her run she suddenly feels confused. We know she’s lost without anyone having to speak and tell us – this would feel clunky and expositional. Instead, the camera pulls out of focus around Alice leaving her the only clear thing in the shot. The “out of focus camera” shot happens numerous times during the film. Another example of the director giving us a sense of confusion is when the story would suddenly jump weeks and even months ahead without filling us in on how we arrived there. Alice is just suddenly somewhere and we are suddenly there too. When Alice doesn’t know or remember what’s going on, neither do we. I personally thought that was helpful in understanding the character. I can’t give the directing and camera work all the credit. What would a movie be without a good lead? I was blown away by Moore’s performance and the more the story unraveled, the more impressed I was. Alice changes drastically during the film- from not remembering words to not remembering people and so on. Moore does an excellent job showing us the progression and the effects of the disease. A scene that stuck out to me was when Alice (well into her disease) watches a video of herself from the past. In the scene, the “old Alice” and the confused “new Alice” are dramatically different; one being coherent and giving out instructions while the other is disoriented and trying her best to follow. Moore was able to capture both and all versions of Alice beautifully. I highly recommend seeing this film. I think it gives a unique perspective on the disease and shows what people are actually going through and how they feel during the battle. 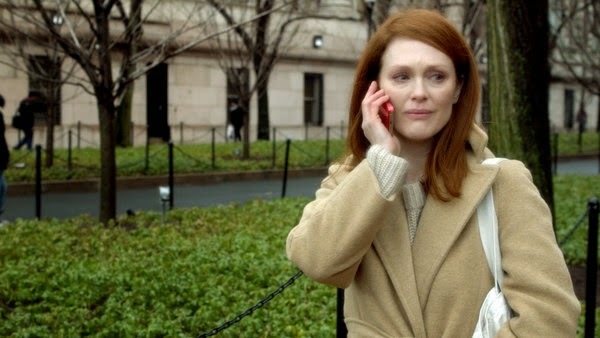 Julianne Moore totally deserved the Oscar for this movie and congrats to her for winning. I hope you check out ‘Still Alice’ and enjoy it as much as I did. If you do watch it, let me know what you think about the movie by leaving a comment below. Happy watching! Thank you for reading http://www.Inside GardenCity.com. Please follow us on Facebook and Instagram!